Technology has already infiltrated every facet of life and has changed the ways in which goods are bought and sold. Online sales are growing steadily and are expected to represent $4.8 Trillion by 2021. Modern shoppers are more likely to buy with mobile devices that are empowering them to research and purchase products easily & instantly. With constant innovation in Customer Experience (CX), sales of Consumer Packaged Goods (CPG) are expected to be $721.8 Billion by 2020. This remarkable growth is being fueled by changes in consumer behavior, emerging channels, and technology advancements. It is also predicted that customer-centric digital brands are will try to carve out their own share of the $600B+ market. To make this explosive growth possible, CPG companies are building platforms to scale on all aspects of the value chain. However, with shifting demographics and fragmented consumer needs, issues in the markets need to be addressed to stabilize the industry. Here are the 4 underlying currents that are predominantly shaping the Consumer Behavior and Technology Vision to empower CPG. Consumer behavior is undergoing an enormous transformation that is impacting shopping trends and the relationship between manufacturers, retailers, and consumers. Consumers today are no longer looking for just ‘ease of use’, they also expect proactive and personalized experiences. Furthermore, proactive care has become one of the most popular CPG segments. Forty percent of the world’s population shops only for the products that help them with their lifestyle. Below are some examples of how CPG brands are trying to address the ever-changing needs of their consumers. 1. Adidas changed the game by working to understand consumers by inventing a custom-made inner sole that can fit any shape of a foot and is interchangeable. The product would be hand delivered in four hours from an order that enhances CX and puts Customer at #1. 2. L’Oréal did research and learned that a large segment of its consumers is consistently concerned with skin conditions that require a personalized approach. As part of their commitment to meet the diverse beauty needs of their consumers, L’Oréal launched a personalized skincare service called D.O.S.E. This state-of-the-art service scans and evaluates unique skin needs and provides a tailor-made product for consumers. 3. Nestle is on a continuous innovation path to efficiently micro-target the needs of consumers. They determined that millennials are more health conscious than baby boomers. Based on that, they stepped outside the realm of their typical confectionary products to offer a new range of products consisting of natural ingredients and are healthier. IDC reports that 90% of the CPG market over the next decade will be captured by companies that participate in direct-to-consumer models. Thus, the time is right for CPG companies to be proactive and deliver a better customer experience to the fast-changing personalized consumer preferences. Gone are the days when having a good product was enough. The CPG industry is getting fiercely competitive with each brand fighting for shelf space. Despite this trying environment, the top CPG brands continue to thrive. They clearly understand that the mere scale of the product no longer serves as the competitive advantage. Following are the fastest growing CPG Companies that are innovating in sales. 1. Dove, the top Unilever product has been resonating with the basic needs of women in the 21st century. It was the first CPG product to conduct an extensive study of women across the globe and celebrate their natural differences. Emotive advertising has been their latest pitch and has already hit a ‘home run’ for Dove with respect to their sales improvements. 2. P&G took advantage of the ‘Convenience Value Proposition’ factor. Their ‘Tide Pods’ were a huge success amongst millennials who want to do things conveniently and quickly. Doubling down on this, P&G also tried to leverage the Uber lifestyle. Its ‘Tide Spin’ program in Chicago created a grand service among millennials by providing end-to-end laundry service. 3. Mondelez International Inc’s pet CPG product ‘Oreo’ succeeded in creating many fond memories with its famous chocolate wafer cookies. It remained limited to the original best seller for many years; however, it started seeing mid to high single-digit sales growth as it started adding new features to its existing market by launching different flavors, especially the co-branded ones from Reese’s and Peeps. We are at an inflection point where some brands are doing a great job at being at the forefront of Customer Experience Technology while others are still struggling with the basics. 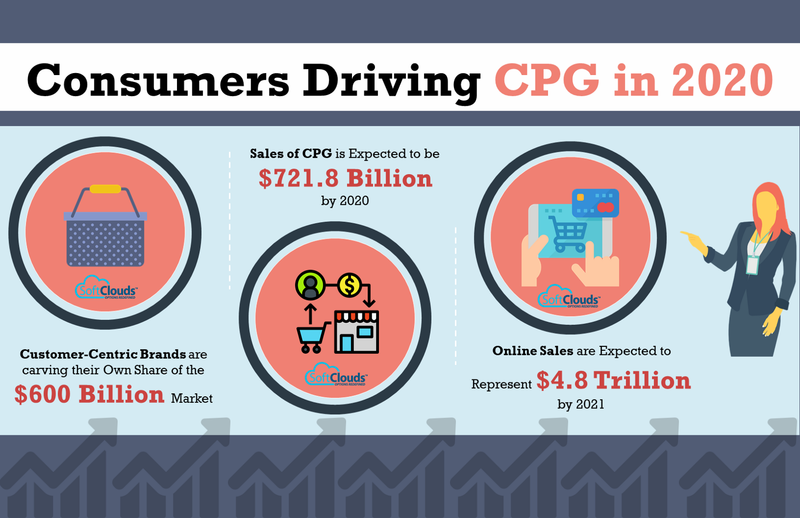 CPG companies are leveraging Big Data and analytics such as consumer trends, purchase patterns and online user behavior to the maximum. Thirty-seven percent of the leading CPG companies make decisions predominantly on data and sophisticated analytics. Fifty-nine percent of CPG players use Big Data to innovate and 67% of them apply analytics to understand the consumer environment. Nevertheless, it has been predicted that by 2020 the CPG industry will spend close to 10 billion USD on analytics. Here are a few examples of how CPG brands are using Big Data to address continuously changing Customer Behavior with Digital Trends. 1. Coca Cola is already providing an enticing customer journey by using data sets such as regional consumer preferences, satellite imagery, cost pressures, weather data and expected crop yields for cocoa beans or desired fruits to provide a consistent taste to its consumers. They also understand user purchase patterns while designing and creating their trademarked bottles. 2. Whirlpool has a deeper understanding of its customers’ needs and wants. They listen and act on customer data captured during their 8.5 million annual customer and repair visit interactions. This data has made it possible for the brand to mitigate expensive recalls due to early detection which results in an 80% cost savings. 3. ITC Group has been exercising Big Data analytics to enhance sales and customer relationships. They have valuable customer data that consists of purchase history, shopping patterns, and social media habits. Big Data & analytics has also helped them achieve seamless integration among all their social and digital channels, which has helped ITC portray a uniform brand message across all the online channels. Big Data provides CPG companies with accurate predictions for each category, region, and product to make decisions. It also helps to identify high-yield promotional strategies, which in turn brings more personalization into marketing campaigns. 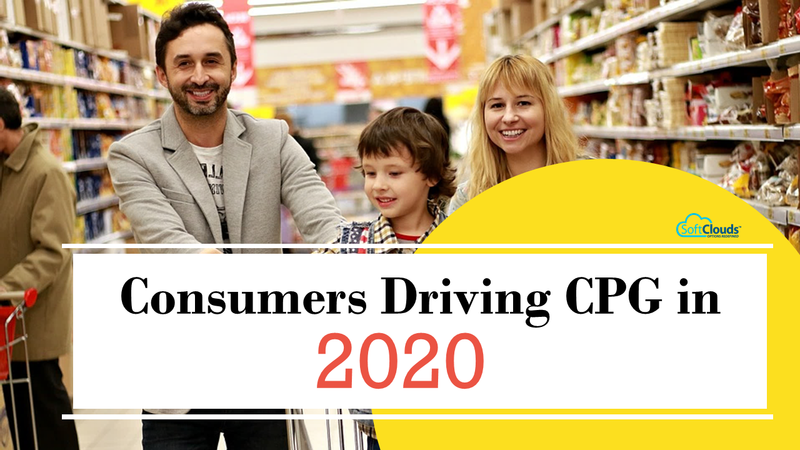 In the pursuit of a customer-centric approach, CPG companies are adopting newer technologies to connect with their consumers. The emerging technologies signal a future of living with more intelligent and connected systems. It’s predicted that by 2020, consumers will interact with over 150 sensor-enabled devices every day. Below are a few CPG brands that are winning with IT to provide better customer experience. 1. Amazon has always ensured a compelling customer journey and is known for the ‘convenience’ factor it offers to its customers. When it comes to this tech giant’s innovations, one of the most obvious technology-driven products that have revolutionized a consumer’s life is Alexa/Echo. Amazon GO and Amazon Dash buttons have also impacted the consumer incredibly by wonderful interactions and experiences. Amazon GO can track shelf inventory and create a virtual cart, letting the shopper know when they are done shopping and the Dash can restock any household necessity with the push of a button. 2. Walmart is stepping up its innovation game to successfully work with CPG companies. Though it is a traditional brick and mortar store, it has turned to technologies like voice shopping, facial recognition that can study the customer’s expressions while shopping, smart pricing algorithms and Pangaea helping CPG merchants manage more items than traditional management methods, to stay competitive with the eCommerce giants. 3. Procter & Gamble is using AI & Sensor Technology to transform their daily health/beauty products into smart advisors by enhancing their consumer experience. They also have patented IoT tags that can automatically fill in product order details, refill or detect when they expire. This technology is providing the necessary incentives for consumers to shop more. As the market shifts, it is crucial for CPG businesses to be aware that the only key to thrive is to leverage the current technology that will change customer behavior. The best part of the CPG industry is its constant change in consumer requirements that drive innovation and business. Seventy-two percent of CEOs believe that the next 2 years will be more critical for the CPG industry than the last 50 years. To make it big in this evolving market, there is a need for a healthy mix of data, creativity, innovation, technology, and strategic partnerships. 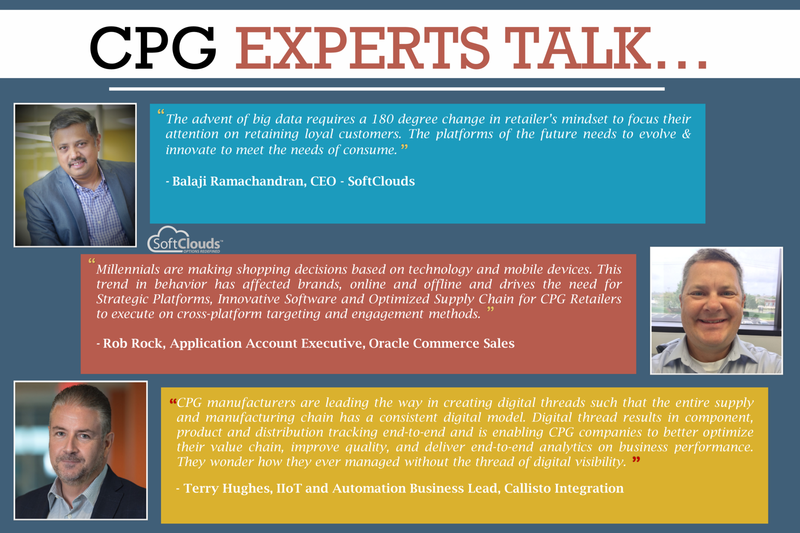 SoftClouds and Oracle walk together to create innovative solutions to help CPG companies lead their industries in this period of rapid change. The companies (whether a CPG brand or a new entrant in the CPG industry) will succeed only when they accept the challenge of digital transformation and innovate more on technology trends in the CPG industry. This post was written by Balaji Ramachandran, Founder & CEO of SoftClouds. His mission is helping clients understand Digital Transformation, CRM, Cloud, IoT, and AI, to stay ahead and ready for future trends. Bala has over 20 years of entrepreneurial and innovation leadership that has helped shape today’s CX software industry. CRM, CX, Cloud Solutions/Services, Enterprise Mobility, Product Innovation, Business Intelligence.